I refer to "Singapore rebuts NGO report" (May 11). The report by Global Witness, widely covered in the foreign media, puts Singapore in a bad light. This is one of the many accusations on Singapore's sand imports and its impact, and it will not be the last if we do not confront the problem properly. A country that prides itself on its clean and green reputation has to constantly ensure that its supply of raw materials from other countries for nation-building purposes has minimal impact on the environment and people of the source country. Any misbehaviour by suppliers will affect the country's reputation. Let us solve this problem in a concrete and transparent manner. It is not enough for the Government to confront negative accusations by insisting that it did nothing wrong and that accusations are not true. Instead, the Ministry of National Development (MND) and JTC Corporation should arrange a meeting with Global Witness to address the report's accusations, concerns and recommendations. The agencies should treat this as an opportunity to refute inaccuracies in the report and seek advice in finding a suitable solution to this persistent thorn of sand import accusations. MND and JTC have to address the following issues: How do they ensure their sand suppliers are not engaging in illegal and corrupt activities? How is this checked and monitored? Who does the monitoring and how frequently? What are the guidelines for sustainable sourcing of sand from other countries? Is it based on international standards? How is it enforced? We can prevent future accusations if we take proactive, concrete and transparent steps to ensure that our supply of sand from other countries is responsible. 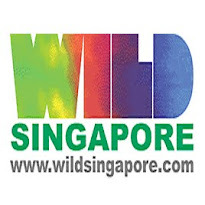 The report by Global Witness, widely covered in the foreign media, put Singapore in a bad light. This is one of the many accusations on Singapore's sand imports and its impact, and it will not be the last if we carry on burying our head in the sand, refusing to confront the problem properly. Instead, the Ministry of National Development (MND) and Jurong Town Council (JTC) should arrange a meeting with Global Witness to address the report's accusations, concerns and recommendations. Are sand suppliers breaking the source country's legal regulations? Are they engaging in illegal and corrupt activities? How is this checked and monitored? Who does the monitoring and how frequent is it done? The damage to Singapore's reputation is already done, but we can prevent future accusations if we take proactive, concrete and transparent steps to ensure that our supply of sand from other countries is responsible.